Linda Bonnar is a pragmatic and client-centered Advanced Master NLP Coach and MindBridge Trainings® certified NLP trainer. Combining her Advanced Master NLP certifications, Professional Coach accreditations (ICF & ANLP), and her years of experience in Education, Linda assists corporate clients to overcome the challenges and complexities with regards to people-development, talent management, and organizational success. Her coaching experience includes a broad base of clients from leading global organizations through to entrepreneurial start-ups. Committed to the goals of her clients, Linda is a vivacious, energetic and motivating coach, author, trainer, and keynote speaker. 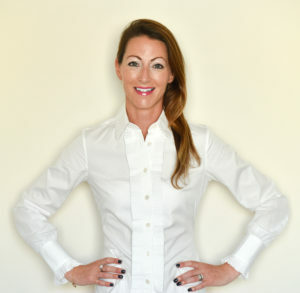 Originally from Ireland, Linda worked internationally in Education for fourteen years before establishing her own coaching business. Her work as a Future Leaders Coach led her to write her first coaching book for teenagers and young adults Press Play in 2017. Her work as a Personal and Corporate Coach influenced her decision to write her next coaching book, Just Three Things. As an advocate of Mental Health, Linda works to break the stigma and silence that still surrounds this topic by delivering interactive talks and engaging workshops to schools and companies on Activating Happiness. A highly energetic individual, she constantly seeks new challenges, both mental and physical. Her passion for running has seen her complete two ultra-marathons, twelve marathons and numerous half marathons around the world.